Inspiration by Angela Walters to learn to stitch her fresh continuous-line designs on your longarm or domestic machine. Includes step-by-step instructions for continuous-line swirls, circles, squares, vines, arcs, and points. Using basic free-motion skills you already have, discover how to approach quilting a modern quilt by working with bold fabrics and negative space, uniting a variety of shapes, and blending designs. 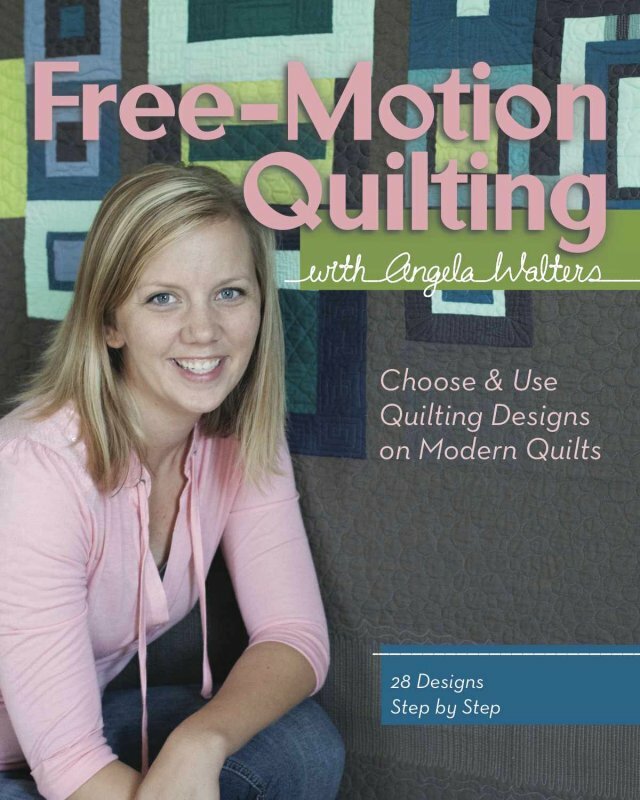 Draw inspiration from striking pictures of 20 modern quilts showing Angela’s designs. You’ll love her practical advice for choosing the perfect pattern to give your modern quilt maximum impact.